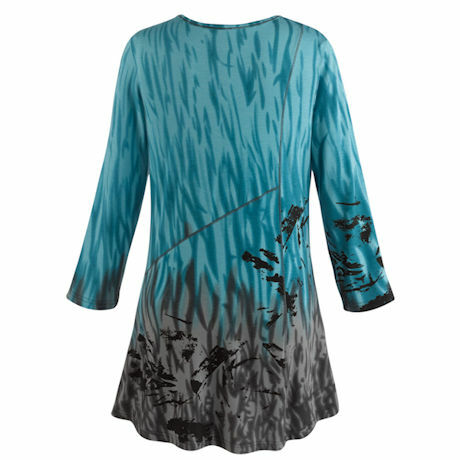 Capturing the mystical color of the northern latitudes' aurora, this tunic has a crisp V-neckline, ¾-length sleeves and a figure-flattering flare to its asymmetrical hem. 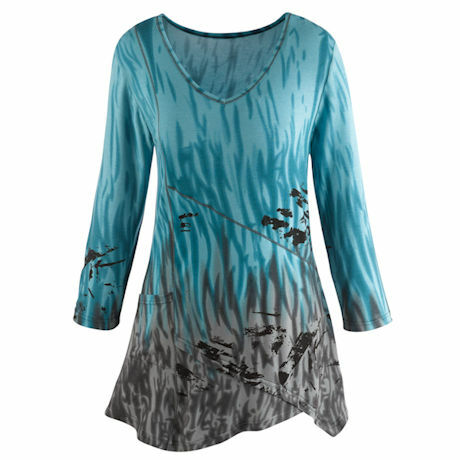 Machine wash. 95% rayon/5% Lycra. Imported. S(6-8), M(10-12), L(14-16), XL(18), 1X(18W-20W), 2X(22W-24W), 3X(26W); 31"L.